Sweet Potatoes are one of my ABSOLUTE favorite foods. I eat them MULTIPLE times per week, EVERY week! Not only are they super DELICIOUS, they are incredibly NUTRITIOUS as well! Part of my Sunday ritual is to cook up a big pot of Sweet Potatoes to have in the fridge for the upcoming week. Click through to find out just how good they are for you and for my favorite EXTREMELY simple Sweet Potato RECIPE. SWEET POTATOES are definitely a SUPER food. 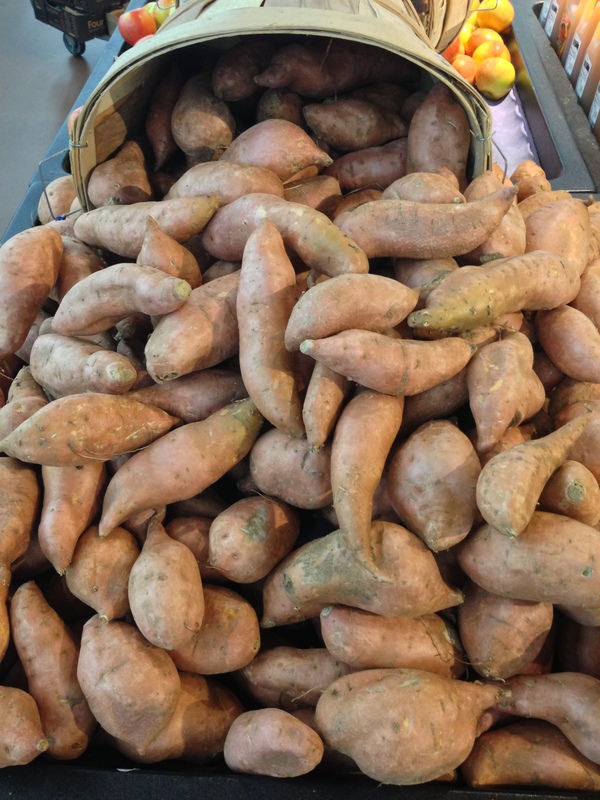 Sweet Potatoes are also a good source Vitamins C, E, & B6, Magnesium, Potassium, and fiber. One cup cooked Sweet Potatoes even has 4 grams of PROTEIN! Place the Sweet Potato cubes, minced garlic, and salt into a large pot. Add enough cold water to the pot to cover the potatoes. Bring to a boil then reduce heat to medium. Boil for 20 minutes or until sweet potatoes are soft. Drain the potatoes and return to the pot. Add the pepper, milk, butter, and curry powder and mash all ingredients together using a potato masher until smooth. These Sweet Potatoes are so AMAZING!. You are going to want to throw out those syrupy potatoes that we are all used to seeing at Thanksgiving. Instead replace them with these HEALTHIER and much more DELICIOUS mashed Sweet Potatoes. Sounds tasty! Love the site! Especially this post.. yum.